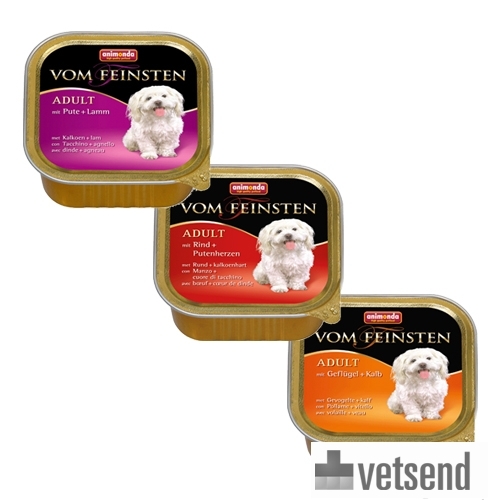 Animonda Vom Feinsten Classic, wet food tubs for adult dogs. Available in three flavours, poultry/veal, turkey/lamb and beef/turkey heart. Have you used Animonda Vom Feinsten Classic before? Let us know what you think about this product.